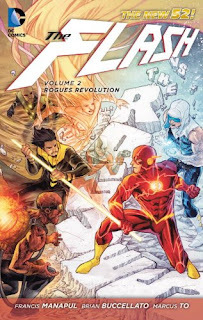 The Flash has been one of the best comics in DC’s New 52 and Volume 2: Rogues Revolution is keeping the pace (no pun intended...well maybe a little one). This volume introduces us to the New 52 version of Flash’s Rogues Gallery, a group of criminals that act as constant small time adversaries of the Flash. In the New 52 the rogues have given up the various weapons and suits that gave them powers to become actual super-humans in order to compete with Flash. But these new powers came with a price and this volume is about how each of the rogues deals with that price. As has come to be expected from Francis Manapul's art, who is also pulling double duty by writing the book, is amazing and does a wonderful job of portraying the speed of the Flash with his choice of colors and unique panel placement. 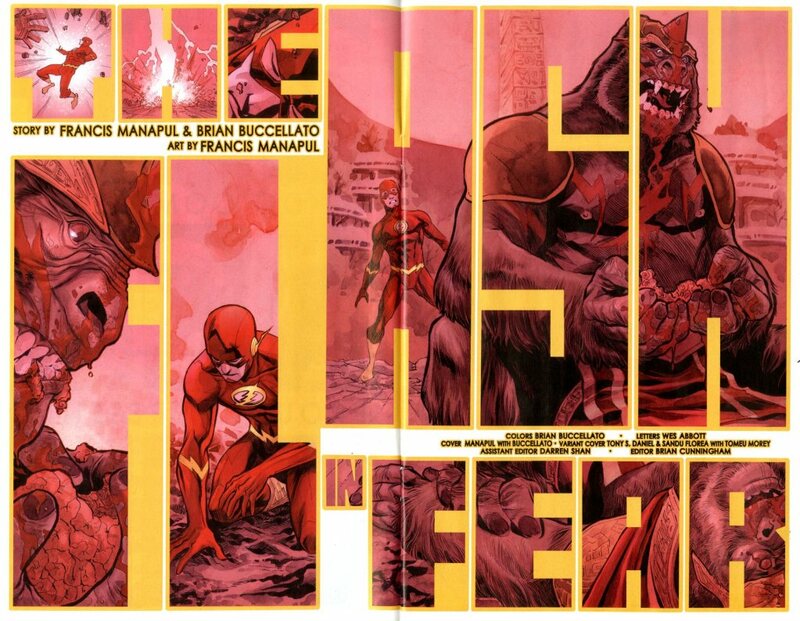 As always the “DC Proudly presents:” pages are some of the best splash pages in comics today and are almost worth the price of admission alone. I highly recommend you running out (ok that one was definitely on purpose) and picking up this trade.